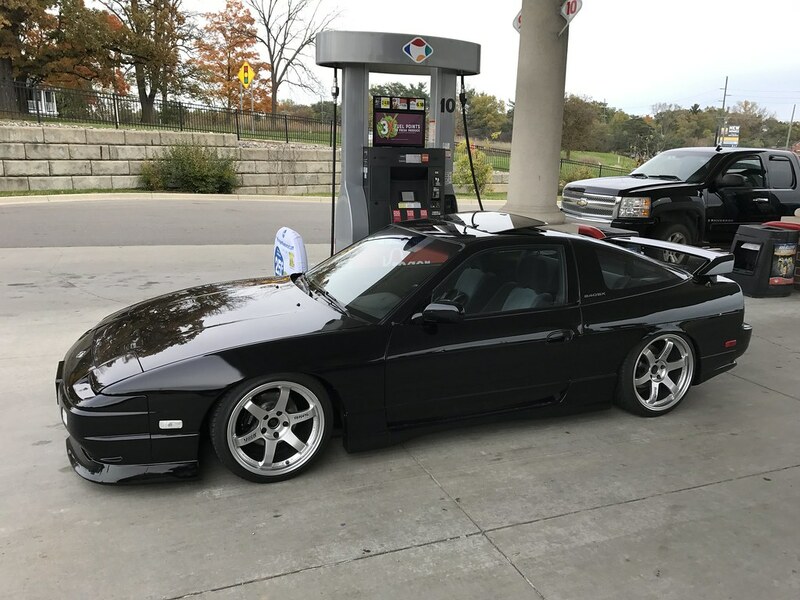 Last week’s post about my recent acquisition of a second Nissan 240SX chassis has brought forth a lot of hype, questions, and discussion. While it was really cool to see how excited everyone was about me posting that I have a second one of these cars at my disposal now, I think it is important for anyone in my position to keep a level head and realistic expectations about what the future may bring for these project cars. 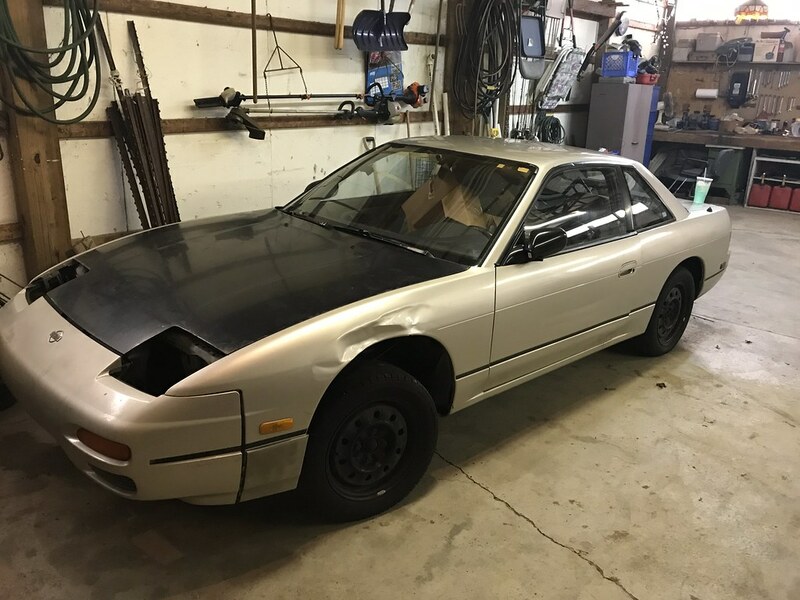 I think we have all seen this happen way too many times in the past- wasted enthusiasm poured into a new project, often someone’s second, third, fourth, or even fifth S13 in addition to the other unfinished cars they already own. For whatever reason it seems to be a trend among 240SX owners that owning one is simply not enough. However, more often than not this ends in a collection of partially parted out cars scattered about in someone’s backyard, the owner holding onto a dream that will likely never come to fruition. It’s not a bad thing to have dreams and ambitions (as well as the patience to pursue them no matter how long it may take) but it’s also important to be realistic. Believe me, even sharing with everyone that I had a new chassis was a decision I did not take lightly for that very reason. For me, the coupe chassis is like any other spare part on the shelf. Sure, it’s a physical car and not a pair of wheels or an extra bumper, but it really should not be treated as anything more significant at this stage in my life. If I truly call it a second project car, I am at risk to lose not only the new chassis but my S13 hatch as well. There are numerous larger priorities in my life at this moment that require the coupe to remain a support item that is saved for a rainy day rather than a second full-blown project. A few people have asked me if picking up a second S13 means my first one is finished. While we all know that no project is every truly completed, I do feel the most comfortable and content I have ever felt with my original 240SX. I’ve made very minimal changes to it over the last few years and I think that is showing both a new sense of maturity for me and the build, but also that I may have finally settled into what I feel is a good balance for what I want from that car. Sure, I still really want to give it a perfect paint job and install all of the moldings and weather stripping I have collected for it, but the car really is ideal for what I use it for at this point in my life. As much as I may be justifying not doing something that I simply don’t have the money for, it really does make sense to wait on painting it until further down the road. It’s awesome to be able to gas the car up and drive it anywhere I’d like without being overly concerned about paint chips or any weather I might encounter along the way. As difficult as it is, being comfortable with the car being just “OK” and remaining in the condition it is now makes a ton of sense. I guess what I am realizing is that in a way the car is “finished” for the time being. I’d like to tackle a few suspension improvements to replacing aging items that were upgraded nearly ten years ago and maybe get the audio system working if I am motivated enough, but aside from general maintenance and enjoying it I don’t feel the need for any big, elaborate plans. I think the fact that I feel this way is making it easier for me to justify keeping the coupe around for the foreseeable future. I’ve watched way too many people attempt to build a second car or even modify their daily driver in the past only to see them lose a sense of balance and have to retreat. My hope is not to become another member of this statistic. I’ve always sought to keep my daily vehicles as boring and reliable as possible. I tend to choose a vehicle that I have no interest in modifying (and believe me, I am STILL always tempted to modify them in some way) to ensure that I am not going down a second rabbit hole before I have surfaced from the first one. Having a vehicle you haven’t messed with that you can rely on every day is one of the keys to owning a successful project vehicle. It’s just too stressful for most of us to deal with modifying and maintaining multiple cars. But anyway, I hope this helps to give you a bit of my perspective on the second car. I’d love to have the resources to immediately dive in to building it from the ground up as heaven knows I’ve got plenty of passion and motivation to do that, but it’s really not realistic from a financial standpoint. I hope to have a clear, methodical path for it laid out from the very beginning so that I’m never tempted to stray from the plan and execute on it only as life allows me to. Should I ever be faced with a situation where I need to make a sacrifice, it will definitely be the first thing to go. With the end goal being owning a clean and positive representation of both variants of the S13 chassis, I hope that I’ll one day be successful enough to make that goal a reality- it’s just going to take some hard work and a HUGE amount of patience to make it happen. If it’s meant to be I think everything will pan out in the end. Thank you to everyone that has shown their support by purchasing stickers! I’ve been overwhelmed with the positivity and kind messages of support. I used the proceeds to purchase a premium Flickr account to ensure that all of the photos on my blog and Zilvia build thread stay active for another year. I hope to offer some new merchandise in the new year including new stickers and maybe even some shirts if people are interested. 2019 is going to be a great year! I hope that all of you enjoy some meaningful time with family this Thanksgiving. Thanks for the support! Thank you! So hard for us car guys to stay focused. So many shiny things! haha.